Teresa Walker works with individuals and couples. Being passionate about the work I do, it is important for me to practice being ‘present’ throughout each session, to help the client experience acceptance, being listened to and feel validated. It is through this process, change can begin to occur. I am a professional counsellor and have worked in a wide range of settings over the years, providing short and longer term counselling for individuals and couples. My areas of interest include: Grief and Loss, Anxiety, Depression, Stress Management, Interpersonal Relationships, Couples Counselling, Attachment Styles, Loss of Meaning and Life Transitions. I work with a variety of therapeutic models, including Cognitive Behavioural Therapy and Mindfulness. I seek to provide a warm, empathic and supportive space for the client and use an integrated approach, drawn from a Humanistic and Existential framework, adapting my approach to the individual. With an emphasis on the therapeutic relationship, I aspire to promote self-awareness, new insight, emotional well-being, improved quality of life and the ability to live authentically. Teresa completed her Bachelor of Counselling at the University of Notre Dame and furthered her education in Family and Relationship Therapy at William Street. During her time at Holyoake, a service dedicated to helping those affected by alcohol and/or other drugs, Teresa obtained experience in Play Therapy and Group facilitation skills practice, making her a valuable resource for those affected directly or indirectly by substance use and abuse. 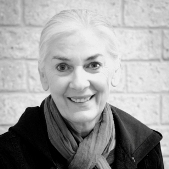 Teresa is a clinical member of the Psychotherapists and Counselling Federation of Australia. To find a psychologist or to book an appointment time with Teresa Walker, contact us today. Would you like to join the Vision community and receive our newsletter?